A cute little Christmas tree is surrounded by a red and white candy cane border on this Christmas stationery. The background includes a subtle pattern of Christmas trees. 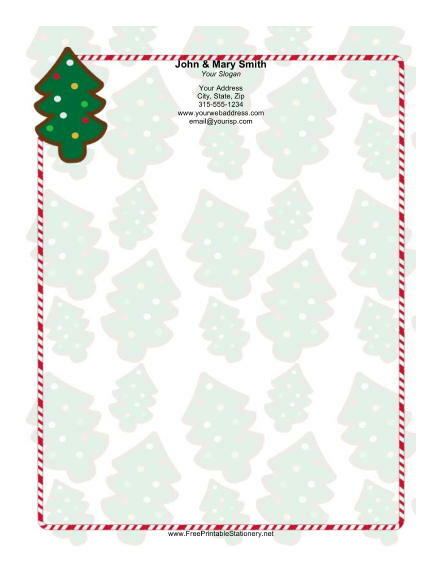 This holiday paper is perfect for writing to family, or can be used as business Christmas letterhead.